On September 11th, 2012, with the help of event producers Extra Extra, Betsey Johnson threw herself one seriously crazy 70th Birthday Party at New York City’s Espace during Fashion Week Spring 2013. 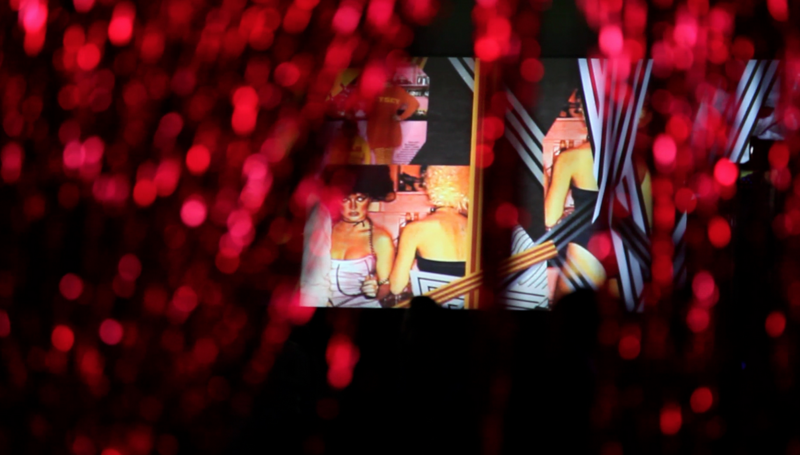 In order to set the mood for the arriving guests, Extra Extra commissioned Red Paper Heart to create an annimated video retrospective that would guide attendees through Betsey’s works and career while keeping all content organized by decade. 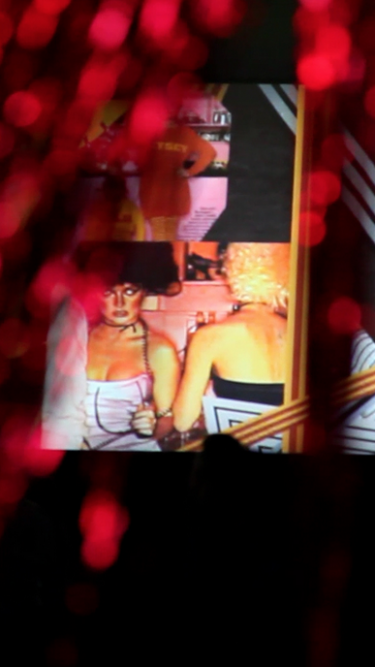 These huge video displays offered glimpses of Betsey’s rock roots as well the cultural happenings influcing her designs throughout the past 50 years.